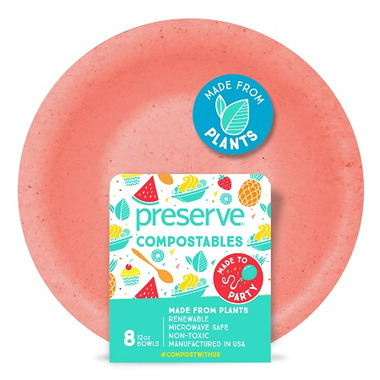 Preserve Compostables Bowls are made from plants and return to the soil when the party is over. These 10” bowls are freezer and microwave safe and are ovenable up to 420⁰F. They are non-toxic and manufactured in the USA from renewable resources.